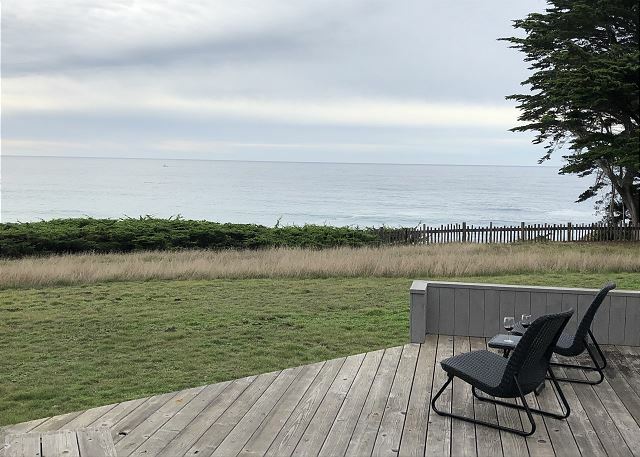 Unit 3, Block 4, Lot 2 … (NEW LISTING) Experience ocean front living at its finest! 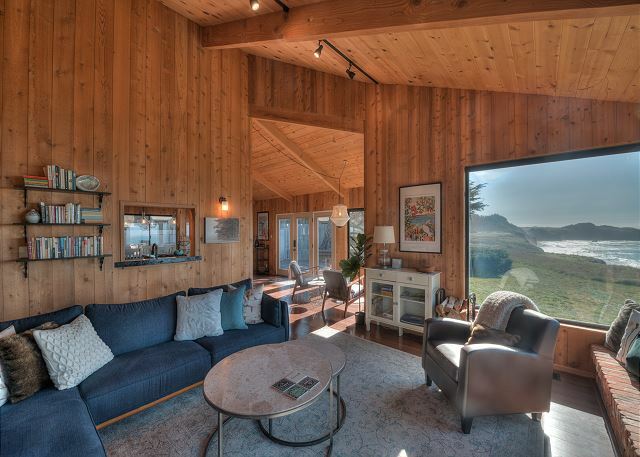 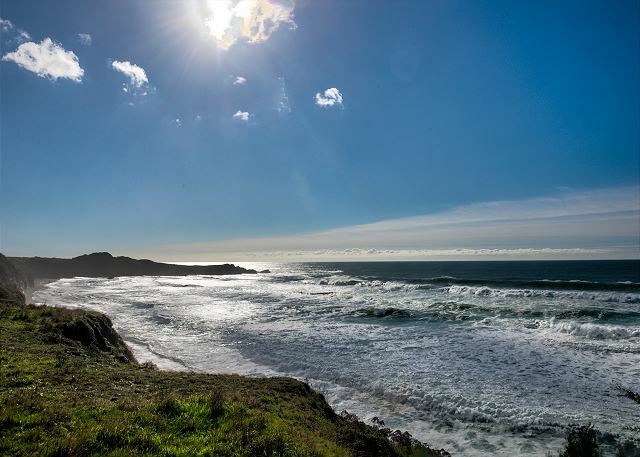 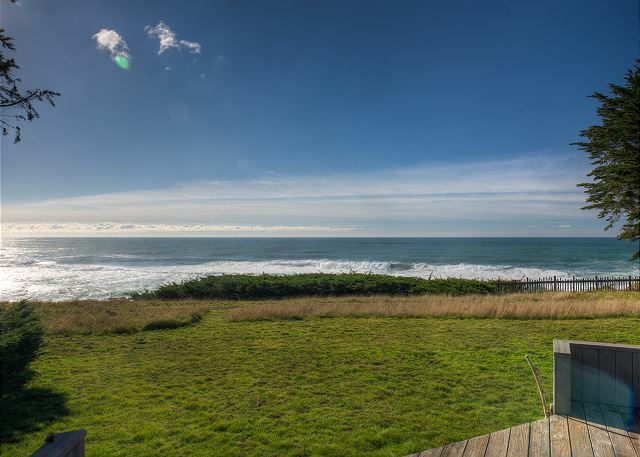 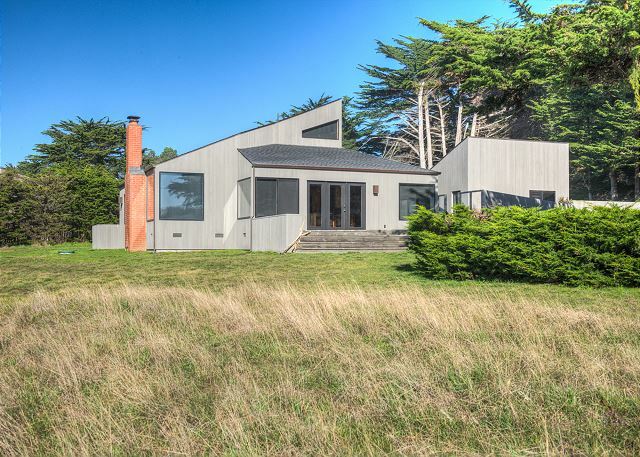 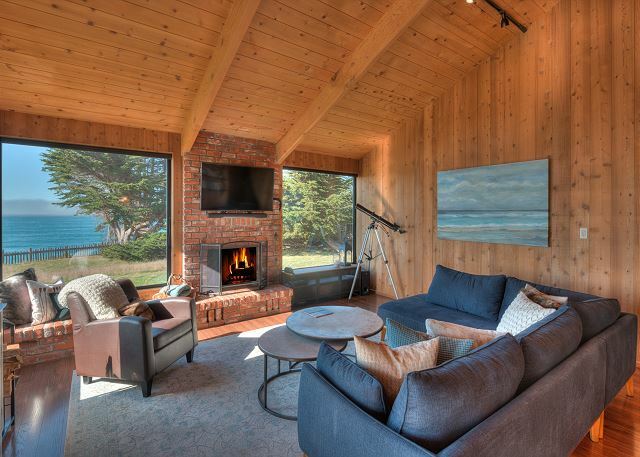 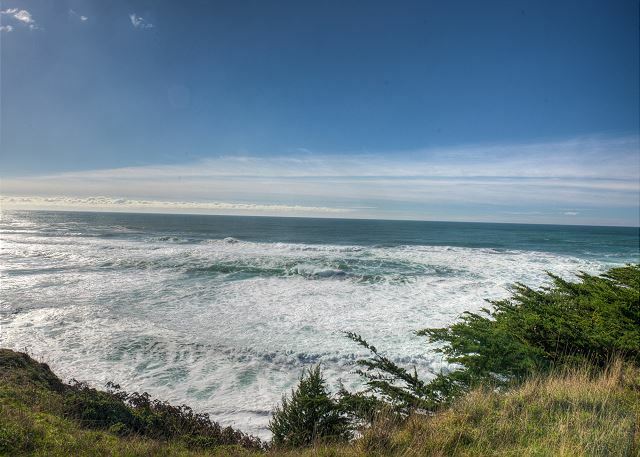 This classic Sea Ranch home is perched on the bluff trail and enjoys unobstructed sweeping ocean views. 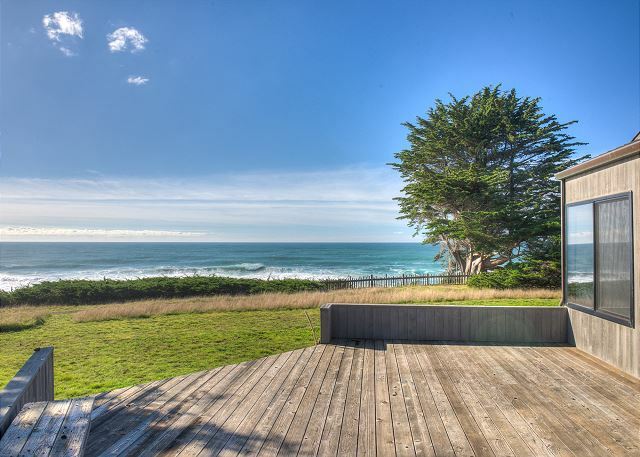 Guests can sit back to be immersed in the serenity of the sea and the beauty of Black Point Beach. 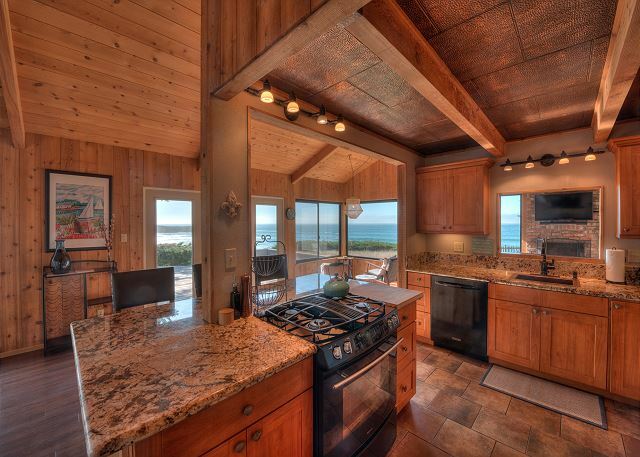 There are stunning ocean views from all common living areas and a large ocean front, south facing deck. 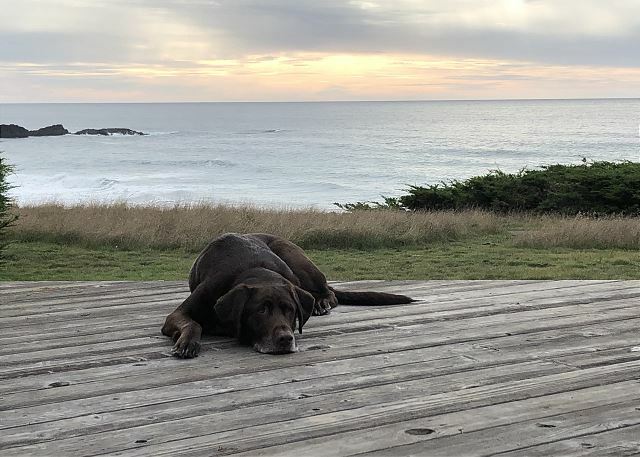 This updated, dog friendly, house accommodates up to 3 couples with 3 queen bedrooms, 2 full baths and an upstairs bunk loft for kids (max 8 guests). 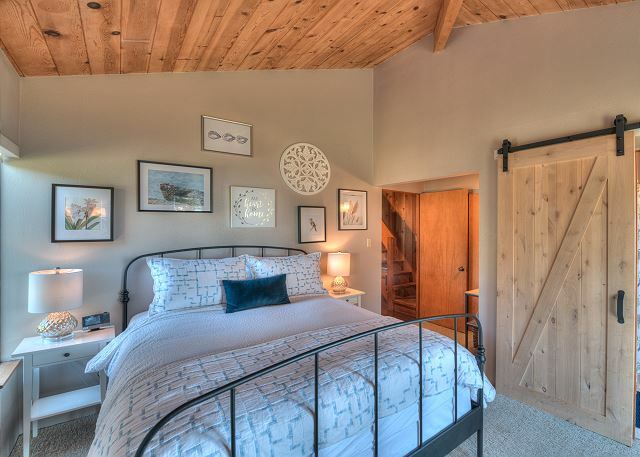 The master bedroom also has ocean views, an en suite barn door bathroom and French doors to a small ocean front deck. 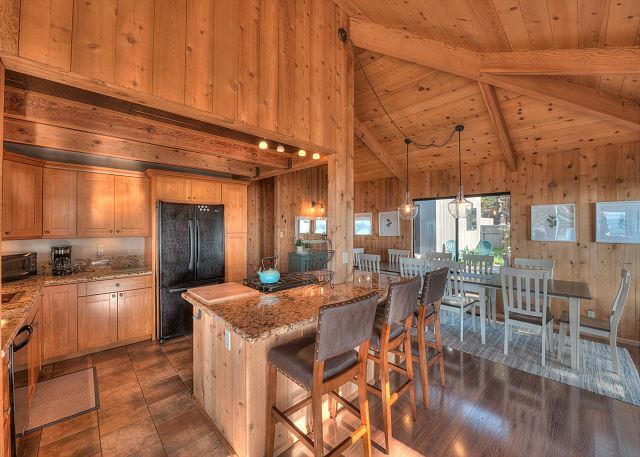 Vaulted cedar ceilings throughout, with a cozy wood burning fireplace in the living room. 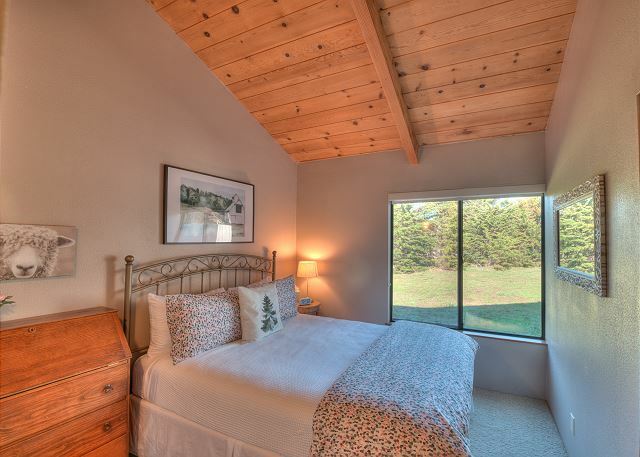 There is also an enclosed courtyard that is perfect for dogs and a well-appointed kitchen. 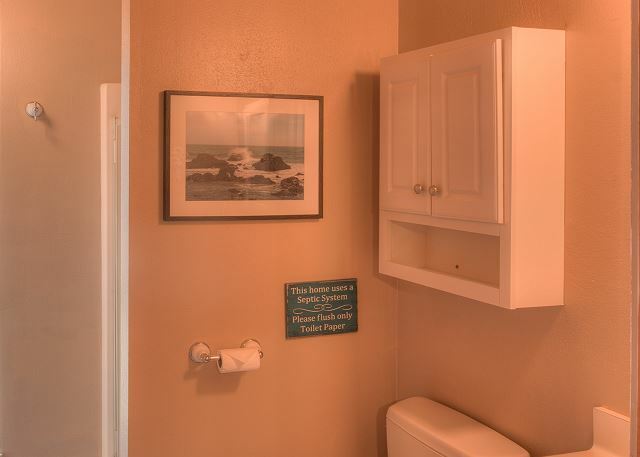 Note: This home does not have a hot tub.